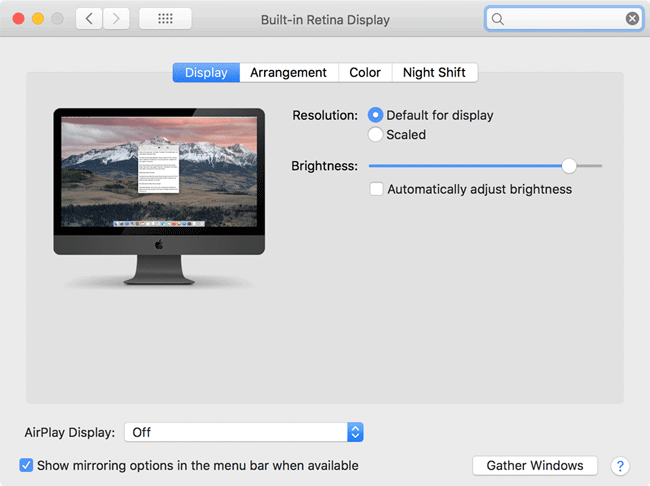 If you decide to calibrate your iMac Pro screen, you might be disappointed to find out that there is currently a bug in either display firmware, or MacOS High Sierra that automatically re-adjusts the brightness level of the display to 90% brightness after each reboot. There is a temporary fix to prevent this from happening, but it is a nuisance and something Apple should address as soon as possible, especially considering that this is an expensive display that is specifically designed for photography, videography and graphic art needs. When a display is calibrated with a colorimeter and specific calibration software, one always chooses a specific brightness level for their environment. For example, most photographers will be setting their display between 100 and 120 cd/m2 and always stay at that brightness level (and hopefully identical ambient light), in order to have a consistent editing environment. This is a rather big problem, as it is difficult to pinpoint the exact location within the brightness bar in order to get back to the 120 cd/m2 setting, which means that I had to pull out the colorimeter and re-measure brightness after each reboot. Such behavior was present in MacOS High Sierra 10.13.1 and even with the latest 10.13.5 update, the issue persists. While it is possible to write a custom script to set the brightness level of the display to a particular value, it is not an approach for everyone (as one needs to know the exact brightness value in decimals) and it is something that you will need to know how to remove after Apple addresses it. Just keep in mind that you will need to be in the same ambient light environment as when the calibration was done when you do this – if the room is much brighter at the time of the reboot, the screen brightness might change anyway. Thanks Nasim for bringing this up.I thought that it was only me who had this issue. You are most welcome Amir! Hopefully Apple will address this problem sooner than later. Just wondered if anyone has heard if Apple has addressed this issue yet? We are in the process of trying to calibrate 6 new iMac displays. Yes, the issue has been addressed via an update to MacOS. Great! Thanks for the quick reply. Onward and upward! Roman, that’s interesting – thanks for sharing! I didn’t experience brightness level changes on my regular iMac, but the iMac Pro definitely has this problem every time it is rebooted. I have a similar problem with the 27” iMac (Retina 5K) with OS Sierra I bought in July 2017. I calibrated the monitor with the brightness level set above the “y” in the word “Automatically.” I found that over time the brightness level would gradually creep upward, never downward. 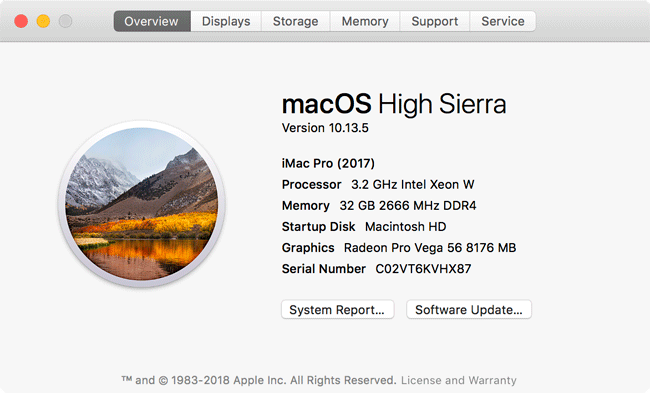 When I wanted to edit images I had to first check the brightness level and return the brightness setting to a position above the “y.” I just recently upgraded to High Sierra 10.13.5 and still have the brightness change problem, but to a lesser degree. The brightness level is now more stable, but the brightness changes that occur are downward rather than upward. Maybe Apple has been working on this problem, but it isn’t fixed yet.